Human biological system provides innumerable neuroendocrine inputs for food intake control, with effects on appetite’s modulation and the satiety signs. Its regulation is very complex, engaging several molecular interactions with many tissues, hormones, and neural circuits. Thus, signaling molecules that control food intake are critical for normal energy homeostasis and a deregulation of these pathways can lead to eating disorders and obesity. In line of this, genetic factors have a significantly influence of the regulation of neural circuits controlling the appetite and satiety pathways, as well as the regulation of brain reward systems. 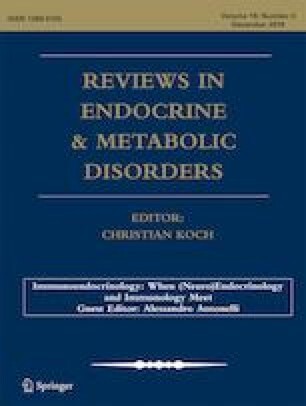 Single Nucleotide Polymorphisms (SNPs) in genes related to hypothalamic appetite and satiety mechanisms, further in multiple neurotransmitter systems may contribute to the development of major Eating Disorders (EDs) related to obesity, among them Binge Eating Disorder (BED) and Bulimia Nervosa (BN), which are discussed in this review. This study was supported by Coordination of Improvement of Higher Education Personnel (CAPES), Brazil. Qasim A, Mayhew AJ, Ehtesham S, Alyass A, Volckmar AL, Herpertz S, Hinney A, et al. Gain-offunction variants in the melanocortin 4 receptor gene confer susceptibility to binge eating disorder in subjects with obesity: a systematic review and meta-analysis. Obes Rev. 2019;20(1):13–21. https://doi.org/10.1111/obr.12761.